Hitachi Construction Machinery Co., is to develop an Autonomous Haulage System (AHS) that is scheduled to be delivered to the global mining industry by 2017. Historically, Hitachi Construction Machinery has been committed to innovation and its interest in AHS technology will lead to increased flexibility for its customers, and improved safety and operation efficiency at mines around the world. 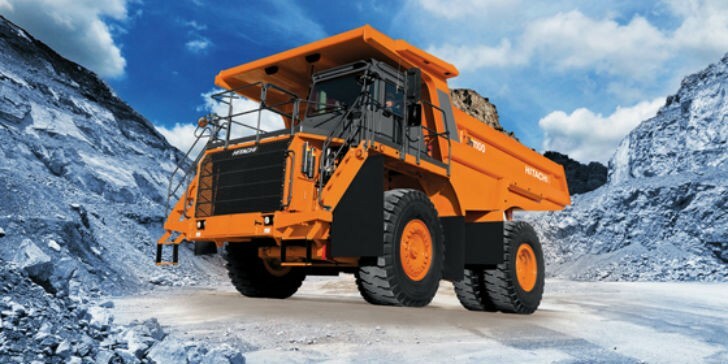 Hitachi Construction Machinery’s dump trucks already benefit from existing synergies within the Hitachi, Ltd. Group, such as: the world-class AC drive system from Hitachi, Ltd.; and fleet management systems from Wenco International Mining Systems Ltd. (Wenco – part of Hitachi Construction Machinery since 2009). The AHS equipment will be developed in association with Wenco, which has over 25 years’ experience with fleet management systems for surface mining. Wenco’s advanced software and hardware will ensure high levels of accuracy when tracking machines on site. This (and other) existing technology within the AC-3 range of dump trucks will play an important part in the proposed AHS solution. One of the key features will be an electric steering module inserted between the steering wheel and valve, so that the equipment can be controlled remotely without significant change to the existing steering system. The AHS equipment will also comprise of sensors and vital communication controls that can be retrofitted to existing AC-3 dump trucks. This option will allow owners to change quickly between autonomous and manual operations, which is ideal for the flexibility required in such transitions. In an autonomous operation, a machine fitted with AHS technology will carry out site-based tasks in line with the map data, routes, speed limits and job tasks. The Hitachi AHS solution will give dump trucks the capacity to paddock, overedge or crusher dump, and be able to identify an exact location for dumping. This location is pinpointed through the collection of data from the on-board sensors, as well as the dynamic path generation logics embedded into the system. In this respect, it performs the task as efficiently as an experienced operator with centimetre accuracy. All of the technology for efficient and robust traffic control comes from the vast knowledge and experience of Hitachi, Ltd., which provides the corresponding system for bullet train – one of the busiest rail systems in the world. The exclusive permission control feature provides fail-safe and efficient traffic control by allowing one vehicle per given segment at a time. Hitachi Construction Machinery’s long-term aim is to operate a package that ensures multiple pieces of equipment can interact with each other from the beginning of a hauling cycle, through to the loading and dumping sites. This initiative will help to satisfy the ever-changing demands of the mining industry to work in a variety of typical operational environments and scenarios.